Get a DRA D-Lock for Christmas! 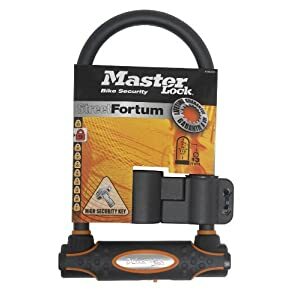 The Digbeth local policing team donated 24 high-quality Masterlock Street Fortnum bicycle D-locks to Digbeth Residents Association’s Neighbourhood Watch scheme last year. DRA has been selling the D-locks for a nominal fee of £5 each (RRP c£35) to raise funds for our Neighbourhood Watch Scheme, but for the rest of December 2013, residents requesting a lock by email to contact@mydigbeth.co.uk can claim one for free! Please write “DRA D-Lock” clearly in the subject line, and please note that this offer is only available while stocks last. On behalf of DRA and all our residents, we would like to thank West Midlands Police for their kind donation, and we hope the D-locks will help reduce bicycle crime in our area.